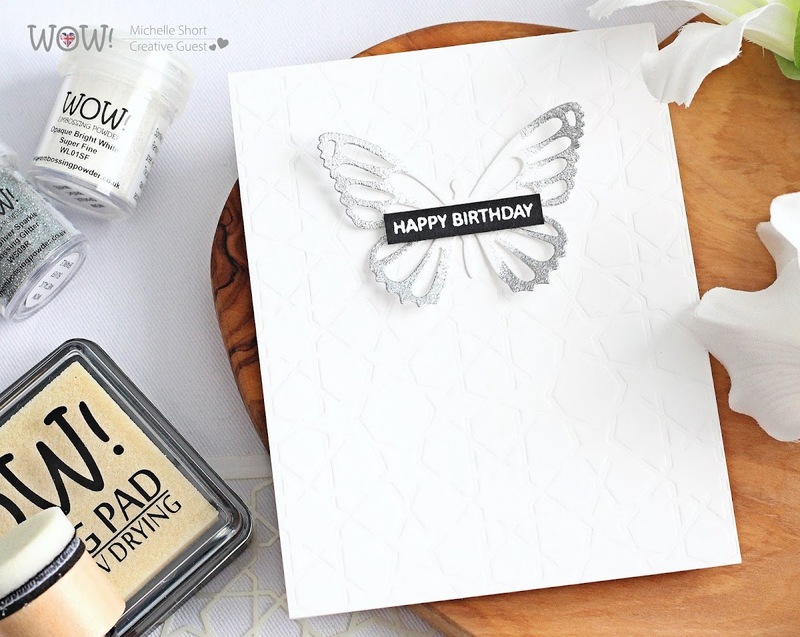 Hello there, I am delighted to be guest designing with WOW Embossing Powder this month. They have a huge range of embossing powders in all different finishes, foiling supplies, tools, glitter and lots more as well. Today I am creating a clean and simple card using a dipped embossed technique. I started off my card by die cutting a butterfly from the MFT Flutter of Butterflies Lace set, from white cardstock. I then took an ink blending tool and pressed this in to the WOW Clear Ultra Slow Drying Embossing Pad so that the ink is on the foam. I pounced this on to the edges of the wings of the butterfly, trying to get more on the edges and less in the middle. I applied WOW Metallic Silver Sparkle Embossing Glitter and heat set. I think it looks like the butterflies wings have been dipped in the embossing glitter. So pretty! I took a panel of white cardstock and dry embossed the MFT Geometric Stars stencil on to it. The panel was then added to a white A2 card base with tape runner. The butterfly was added on top with liquid glue, only adding it to the centre so that I can lift the wings up for some dimension. I took a sentiment from the Clearly Besotted Tiny Type set and stamped this on to black cardstock with the WOW Embossing Pad and applied WOW Opaque Bright White Superfine Embossing Powder. This was heat set and die cut out using one of the dies from the MFT Hearts in a Row Vertical set. The sentiment piece was then added to the middle of the butterfly using foam tape. 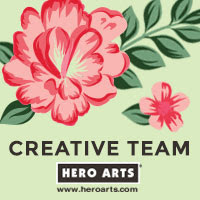 If you are viewing this blog post via email subscription. Please click here to watch the video on YouTube. 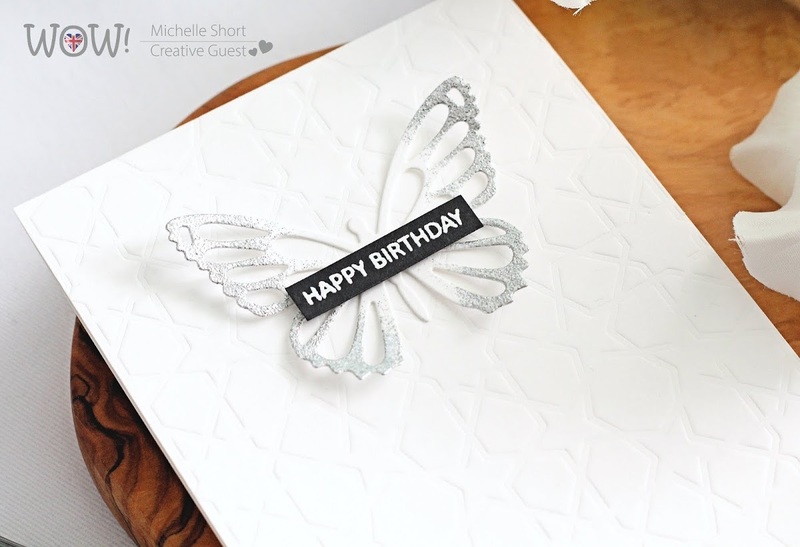 I really love the added texture that the embossed stencil gives to the card but keeps the butterfly the star of the show. 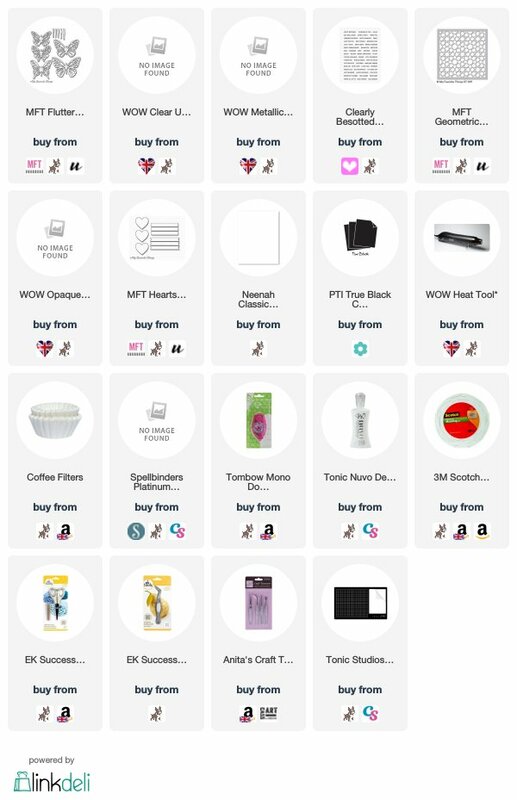 For more inspiration using WOW products, please head over to their blog. Thank you so much for visiting me today. Have a great day! Labels: Clearly Besotted, My Favorite Things, Videos, WOW! 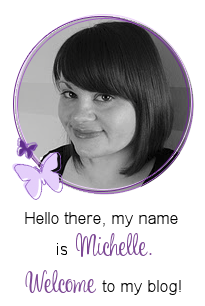 Stunningly gorgeous Michelle. 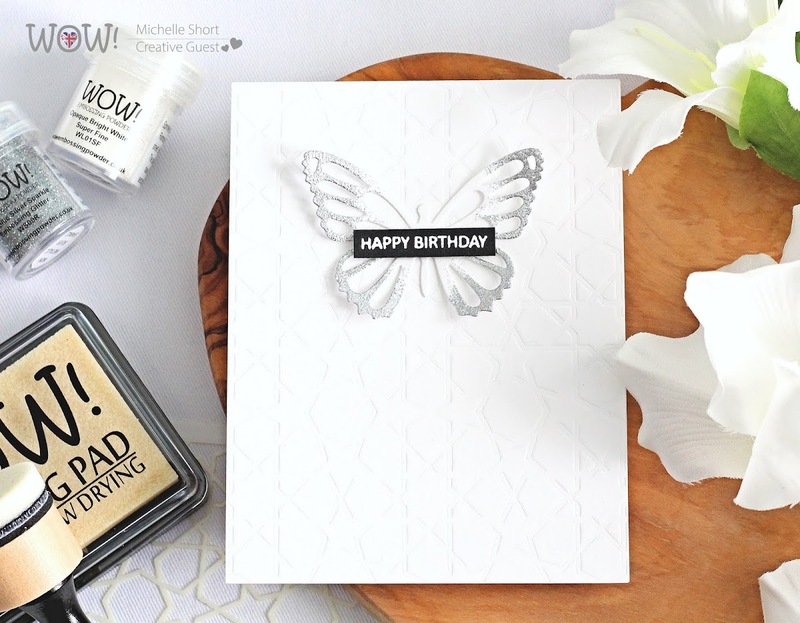 That dip effect is so delicate & pretty, I was told that the time white embossing powder is better to use on small font sentiments, is this correct do you know ?